Definition: Pneumococcal infections are caused by the bacterium Streptococcus pneumoniae (S. pneumoniae), also known as pneumococcus. Infection can result in pneumonia, infection of the blood (bacteremia/sepsis), middle-ear infection (otitis media), or bacterial meningitis. Pneumococci are commonly found in the upper respiratory tract of healthy people throughout the world. There are many different types (serotypes) of pneumococci. Serotype refers to groups of microorganisms that are extremely closely related but can be distinguished by having slightly different antigens (a foreign substance which causes the body to produce antibodies) or causing the body to produce slightly different antibodies. However, it is also a cause of significant disease, being a leading cause of pneumonia, bacterial meningitis, and sepsis. The World Health Organization estimates that in 2005 pneumococcal infections were responsible for the death of 1.6 million children worldwide. Non-invasive pneumococcal infections – these occur outside the major organs or the blood and tend to be less serious. Invasive pneumococcal infections – these occur inside a major organ or the blood and tend to be more serious. 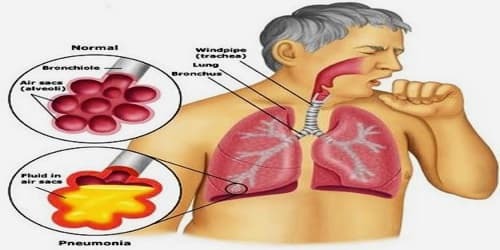 Causes, Sign, and Symptoms of Pneumococcal Infections: Pneumococcal infections are caused by the gram-positive, sphere-shaped (coccal) bacteria Streptococcus pneumoniae (pneumococci). These bacteria commonly cause pneumonia, meningitis, sinusitis, and middle ear infection. Pneumococcal infections usually cause fever and a general feeling of illness, with other symptoms depending on which part of the body is infected. Pneumococcal infection is spread when an infected person talks, coughs or sneezes small droplets containing infectious agents into the air. The droplets in the air may be breathed in by those nearby. Infection may be spread by contact with hands, tissues and other articles soiled by an infected nose and throat discharges. Pneumococcal infections are more common during the winter and may be triggered by viral infections. Symptoms of pneumococcal infections vary depending on the site of the infection. The bacteria may also spread to and through the bloodstream (called bacteremia). Infections may occur in the tissues covering the brain and spinal cord (meningitis) or, less often, in heart valves (endocarditis), bones, joints, or the abdominal cavity. 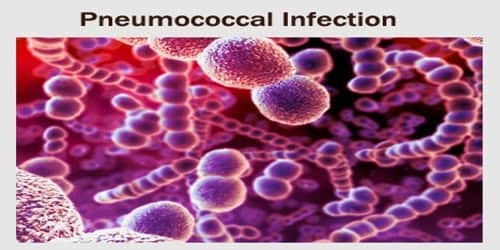 Diagnosis, Treatment, and Prevention: Pneumococcal infection is diagnosed by microscopic examination and growth of the bacteria from blood, sputum or other specimens. PCR (polymerase chain reaction) testing in a pathology laboratory is sometimes used. A varying proportion of strains may also be resistant to cephalosporins, macrolides (such as erythromycin), tetracycline, clindamycin, and the quinolones. Penicillin-resistant strains are more likely to be resistant to other antibiotics. Most isolates remain susceptible to vancomycin, though its use in a β-lactam-susceptible isolate is less desirable because of tissue distribution of the drug and concerns of development of vancomycin resistance. More advanced beta-lactam antibiotics (cephalosporins) are commonly used in combination with other drugs to treat meningitis and community-acquired pneumonia. There are vaccines available to prevent Streptococcus pneumoniae infection. These vaccines protect against the most common serotypes that cause infection. 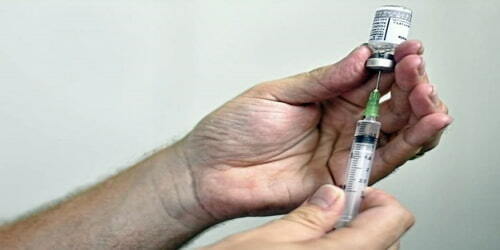 Two types of pneumococcal vaccines are available. If children under 5 years old do not have a spleen or if their spleen is not functioning, they may be given antibiotics (such as penicillin) in addition to the vaccine. In such cases, antibiotics may be continued throughout childhood and into adulthood. The World Health Organization recommends routine childhood pneumococcal vaccination; it is incorporated into the childhood immunization schedule in a number of countries including the United Kingdom, the United States, and South Africa.